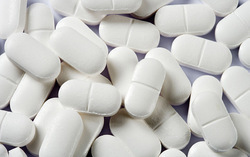 Prominent & Leading Manufacturer from Vadodara, we offer paracetamol soluble tablets. With the support of experts and sophisticated in-house facilities, we have been able to offer Paracetamol Soluble Tablets to our clients. The offered tablets are precisely processed under the guidance of a team of diligent professionals using quality assured chemical compounds and contemporary techniques. Additionally, these tablets go through numerous checks in sync with set medical industry standards to ensure their purity. Soluble Paracetamol Tablets BP 500 mg. Looking for “Soluble Paracetamol Tablets”?